Social media may seem like the most obvious tool for local event marketing. With the seemingly endless possibilities to reach a large audience with the click of a button, why wouldn’t it be? If your local business is hosting an event to connect with the community, build brand awareness, and drive business, it’s time to consider how your event marketing can reach the most people. Hint: social media may not be the best or only way for you to do that, so let’s explore some of the alternatives that can help you promote your event. Even with the growth of social media, email remains one of the most successful marketing tools for engaging with your audience and driving conversions. 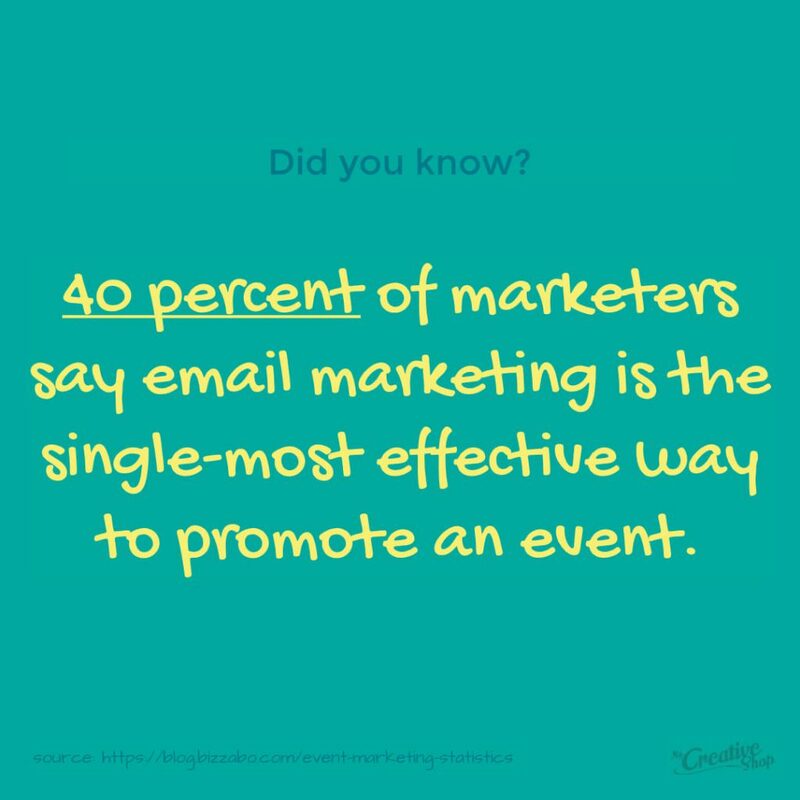 In fact, 40 percent of marketers say email marketing is the single-most effective way to promote an event. Segment your audience, emailing just the contacts who are most likely to attend. This is important for local businesses who may have more than one location. Personalize emails by focusing on the right location. Write a compelling subject line to encourage your audience to open. It should communicate the value to your customer and potential attendee. Put a clear and catchy header at the top of the email that sets the tone for the event and your ask. Keep your brand messaging and voice in mind for this. I.E. is your brand voice funny, humorous, or informational? Include concise messaging that provides date, time, and location of your event while explaining the benefits of attending. Encourage your contacts to RSVP with a clear call to action (CTA). Use a button to make this stand out. Send more than one email—starting one or two months out, and following up as it gets closer. To make this more impactful, include offers, like early-bird tickets or swag for the first 10 people who sign up. If you need some inspiration to build your event email, check out some of these great email examples. Print can be an extremely effective way to supplement your event marketing strategy. According to the U.S. 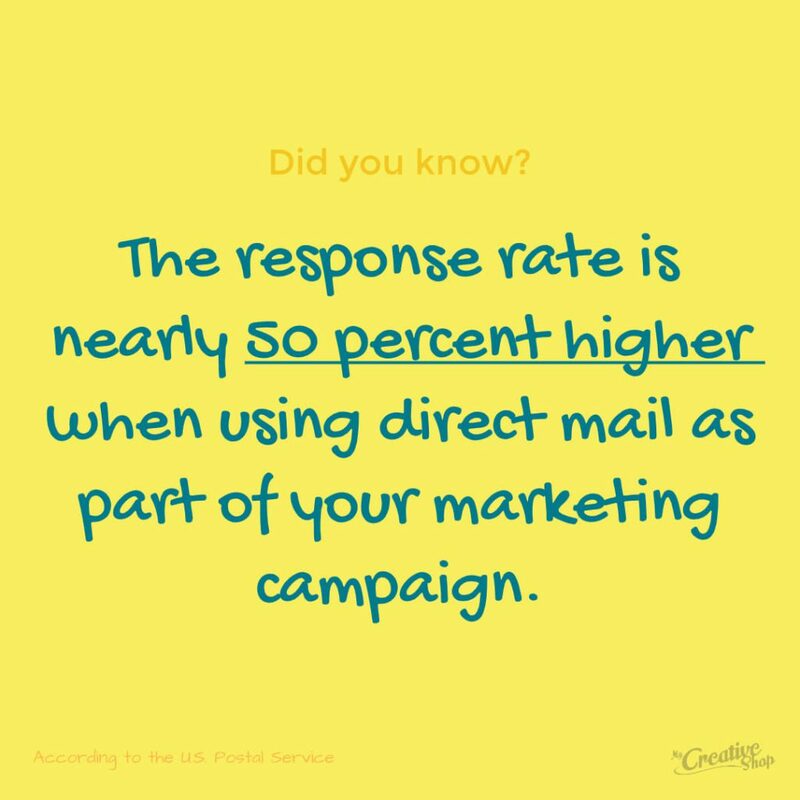 Postal Service, the response rate is nearly 50 percent higher when using direct mail as part of your marketing campaign. Direct mailers are a great way to reach the local community, who are most likely to attend your event. However, your strategy shouldn’t be limited to mailers. There are many print marketing materials that can promote your event for you. Here are a few ideas to implement. Hang flyers in locations around town, including libraries, coffee shops and other local businesses. Hang a banner in your business window or outside on the street. Anyone who drives or walks by will see it. Partner with other local businesses, who can hand out postcards or brochures to their customers as we well. Interested in giving print a try? We've made it easy to design your own event marketing material. Check out our huge collection of event print templates & easily customize them in our online editor. If you’re planning a large local event, find inspiration by looking up. 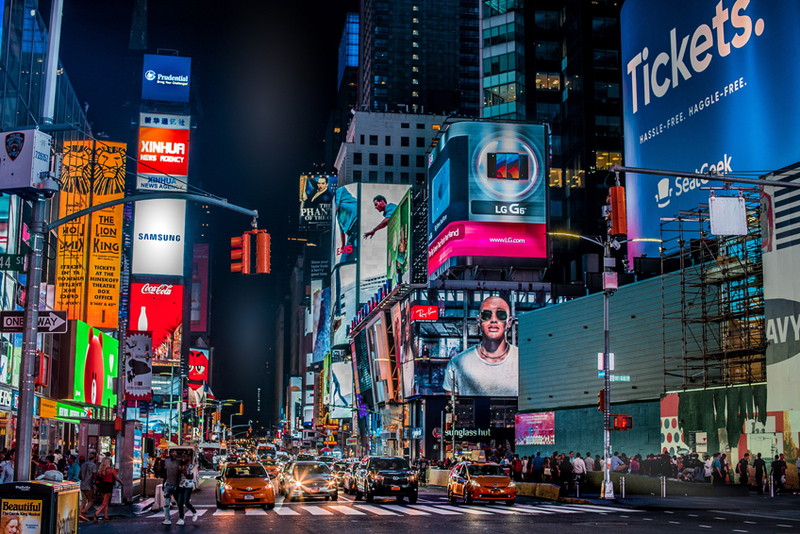 Billboards may seem outdated, but in recent years, they’ve outperformed all other non-internet media. 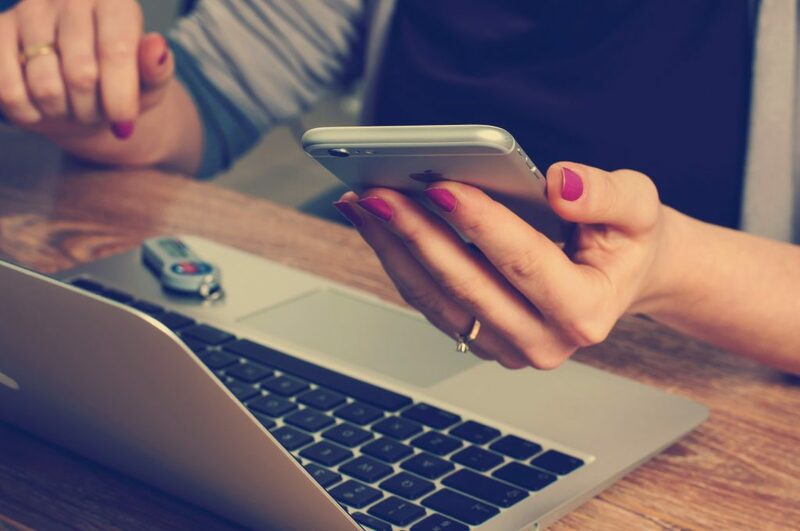 With the help of technology, you can also target potential attendees with mobile ads as they drive by, allowing you to combine online and offline tactics. Get clear with a single and obvious CTA. Make an impact with imagery that tells your story or using a play on words. Use a maximum of seven words. Be loud with a large layout. Leverage location to make it relevant. A personal invitation is the best way to promote your local event. This personalizes the experience while also giving you a chance to promote the event directly and clearly. You can use this strategy to invite existing customers as well as clients you haven’t met yet, or have been talking with, but who haven’t closed yet. Ferguson also recommends warming up with a few prospects so you can get comfortable before speaking to your bigger clients or leads. Start by making a list of the 20 most important people you want to invite, practice with friends, and then make your way down the list. Even leaving a voicemail is more personal than sending a mass email. Social media is a great way to send a message to the masses, but you can better segment your contacts and target your ideal audience with other marketing tactics like email, print and direct calls. If you’re getting your message in front of the right people, you’re more likely to achieve your goal: get people to the event and convert them into customers.